When you next tap on Payments, you'll notice a new icon in the menu called New Payments Platform. Choose your transfer from account, then tap New Payee. You'll now be given a choice of Transfer method. Upon selecting one of the transfer method options and entering a valid PayID, once you tap away from the field, the name of the person or company will be shown below it. 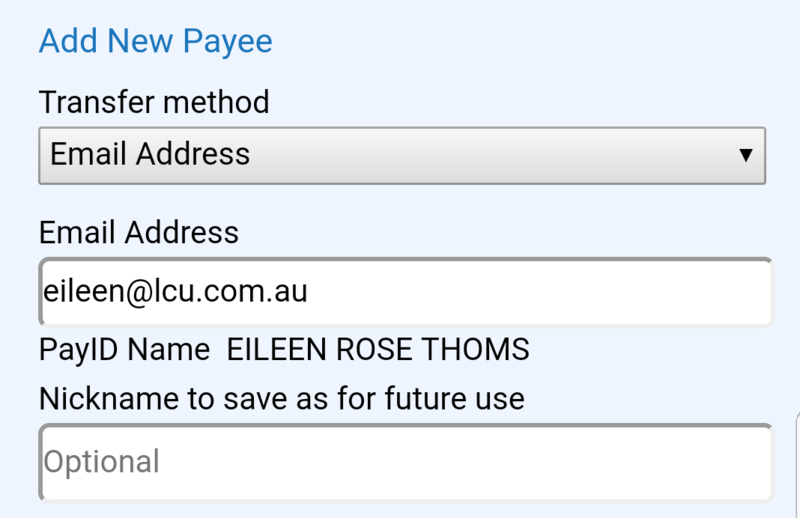 In the example below, after entering Eileen's email you can see her PayID Name. This allows you to confirm that the PayID belongs to the person or business you intend to transfer funds to. You'll notice a new line showing the "Remaining daily limit". The Osko daily limit is $200.00. To request an increased limit, please contact LCU (you must have SMS One-Time-Password Security active on your internet banking). Once you tap next, confirm the details of the transfer and finalise it, the funds will be in the recipient's account moments later. 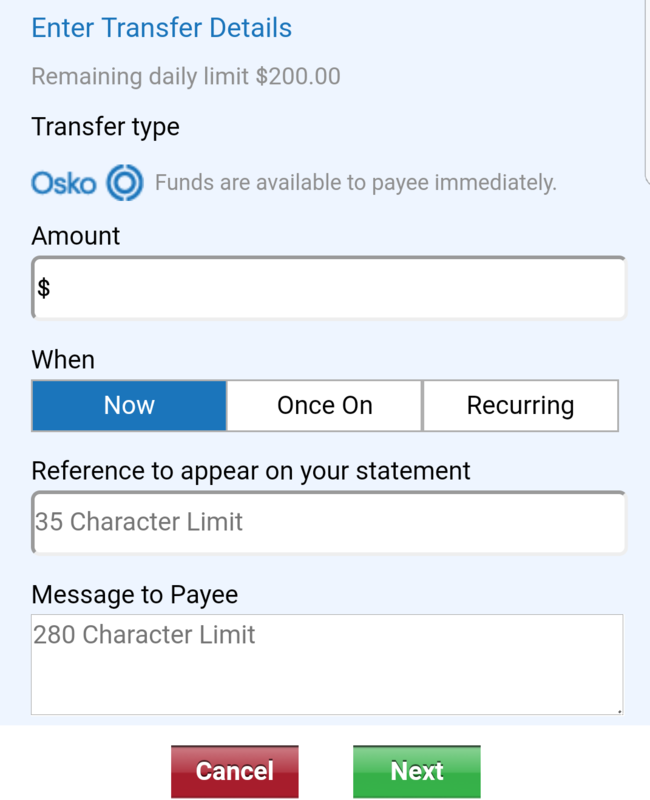 In fact, payments coming from other financial institutions sent via Osko with a BSB and account number will arrive in your account immediately. That's because LCU has the Osko infrastructure, you don't have to do anything to benefit from Osko today!